I need to change gears, so to speak. 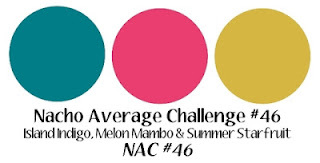 The lovely ladies over @ Nacho Average Challenge have a color challenge for you to try this week. The colors are bright and bold. Lets see what you create! 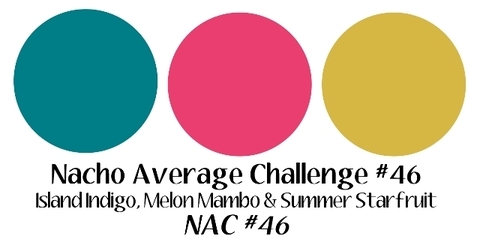 To help pull the Melon Mambo color in the card, I did some random stamping and created a focal point. The summer starfruit was easier for me to incorporate. I made a simple banner flag with the dsp and card stock. Then I did a repetitive stamp in the same color. The DSP has the summer starfruit and island indigo. 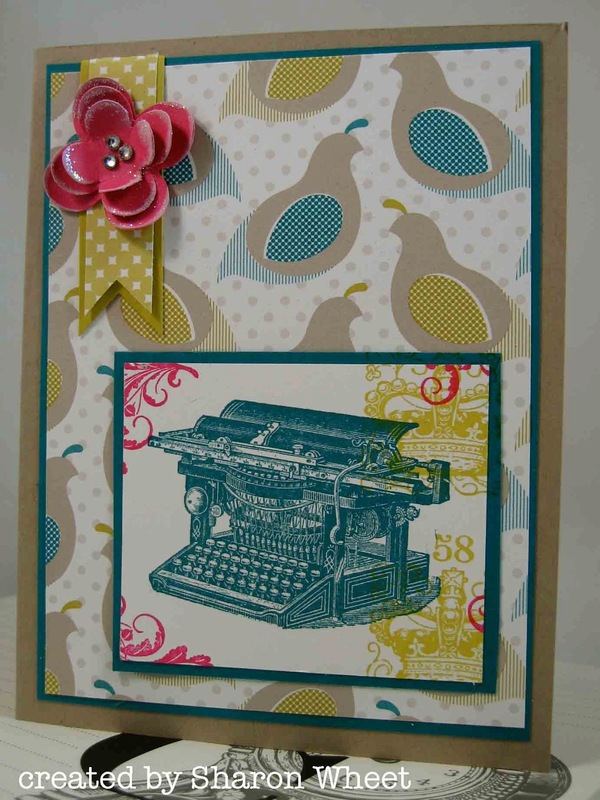 This is really pretty and I love how you incorporated those beautiful bold colors!